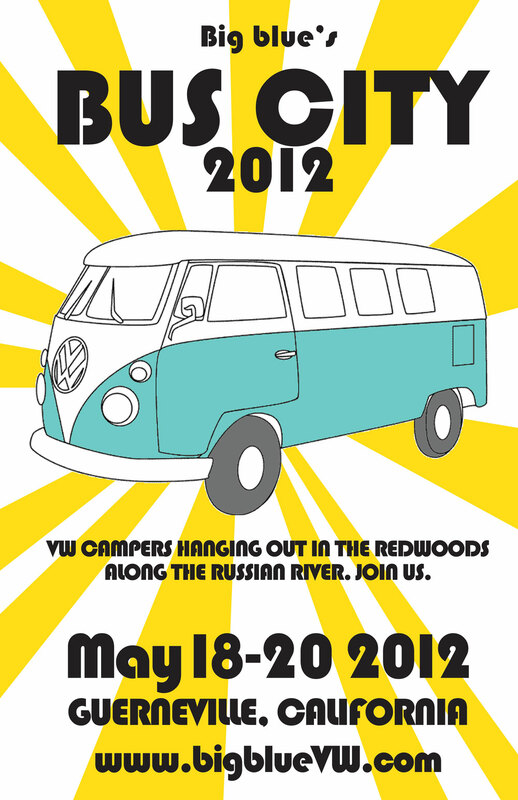 Bus City 2012 - the annual all Volkswagen campout that I organize - is a little over a month away. This is the 4th year and the second year at the totally awesome Schoolhouse Canyon Campground in Guerneville. We couldn't have a better spot or a better group of folks that show up annually. The details are here. This year I am making it a little different. For every bus that shows up I will be donating $10 to http://www.calparks.org/. I will also be trying to get the VW businesses that usually donate things to give away at the campout to donate money to the California State Parks Foundation instead. My goal is to raise $1000 for the California State Parks Foundation. It's not very much. But the VW has proven that a little can do alot. So show up. Bring your bus. Just by coming you will help toss some money into the effort to save the very thing we all love - a little quiet space to chill out for a bit.